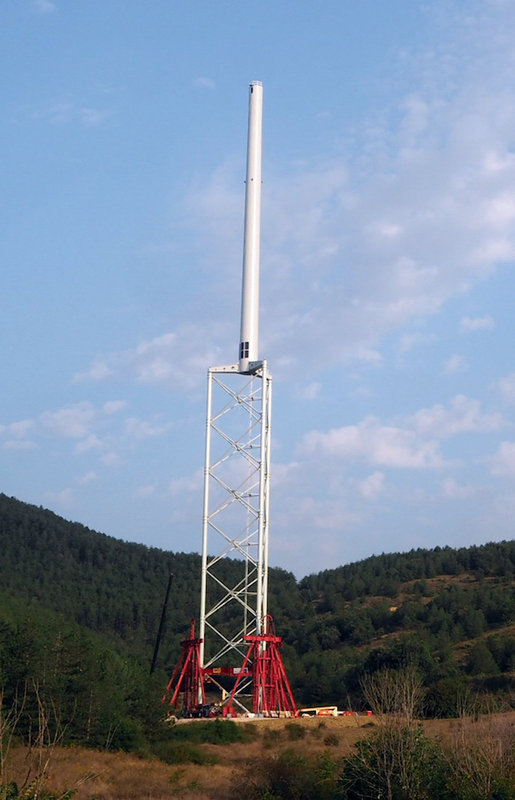 In Navarra, Spain, ALE has been requested by Nabrawind Technologies to find a bespoke engineering solution in order to heighten the prototype of the Nabralift self-erecting tower, one of the world’s highest wind towers. To move this 160m high and 450t tower, ALE used 12 axle lines of SPMT and 3 strand jack units for the heightening. “By providing this customised solution, our client can now how the means of developing onshore wind farms in the most cost and time effective method ever through possible. This is game-changing technology, specifically for those located on difficult-to-reach islands or mountainous sites. 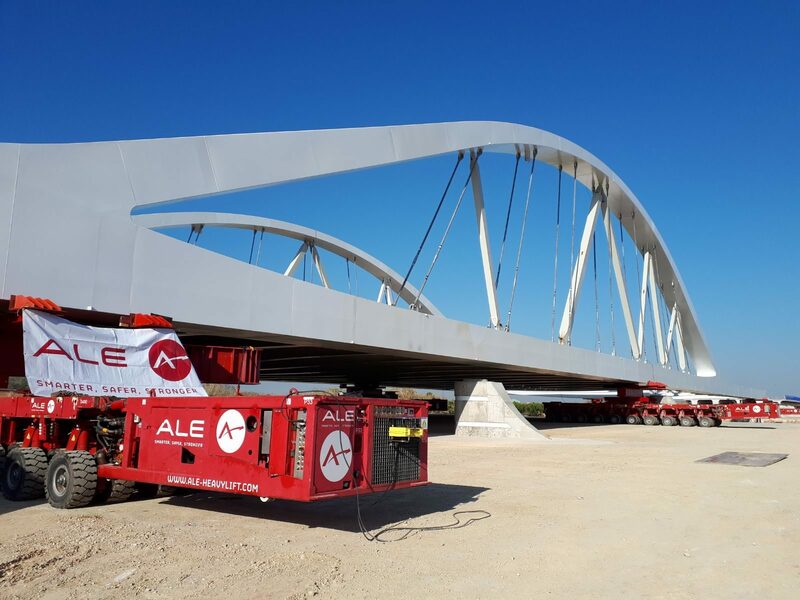 From our findings, we are already developing engineering processes to fulfil the requirements of future large-scale installations with an aim to develop two towers a week,” explained Project Engineer David Arias Blanco. This project ended in September with ongoing discussions about future use of this prototype and technology. ALE was working alongside the client to develop the methodology used for this prototype for the future production of ind towers from 2019. 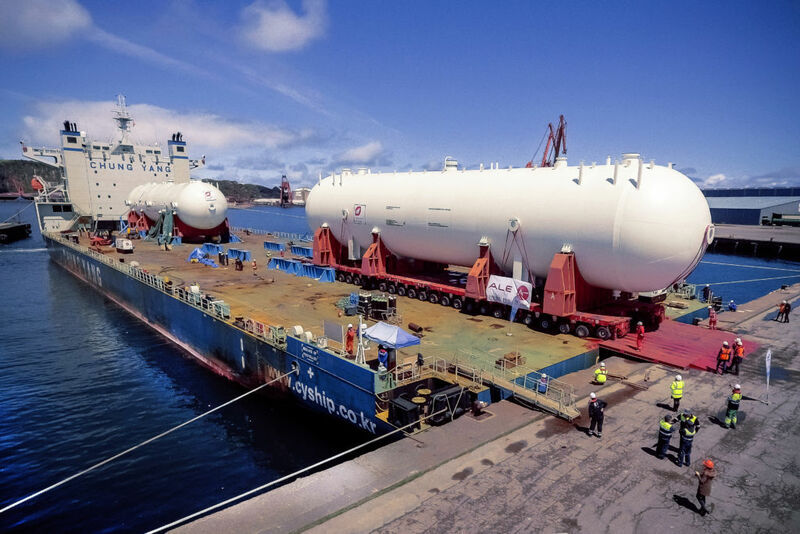 The heavy lift and abnormal transport company Ale announced they carried successfully two « slug catchers » weighing 2008t between Spain and the Fadhili Gas Program Project site in Saudi Arabia. After crossing the Gijon city center and its narrow streets with 32 axle lines of SPMT going to the port, both items were loaded out on a self-propelled barge upon arrival at Jubail Industrial Port. Over there, they had been installed on 174 axle lines of SPMT in a configuration of 6 file 30 and 6 file 28 for a 90km journey towards Fadhili. Despite some narrow roads and sand encroachment, Ale managed to convey the « slug catchers » to the destination in time. All in all, Ale planned to deliver five « slug catchers » for the Fadhili gas project, which the three remaining will be transported by the end of this year. The tower crane manufacturer, after many years of using the Linden Comansa brand name, has decided to return to its original name: Comansa. This change will apply across the full range of products and at the company’s headquarters in Spain as well as in the United States and China. As a result, cranes manufactured in Pamplona, previously marked under the Linden Comansa brand, and cranes manufactured in Hangzhou, China distributed under the name Comansa CM, will be know from now on as Comansa. “The Linden brand and system, and all they entail, are part of our DNA. In fact, Comansa is the only manufacturer whose range of horizontal jib cranes consists solely of flat-top, pendant-free design, which was undoubtedly one of Linden’s most outstanding features. And, if there is one think that characterises Comansa cranes, it is their outstanding modularity, just like Linden cranes. That is why Linden is still very much a part of the philosophy of all our products, even though it no longer appears in our brand name,” explains Alberto Munárriz, CEO of Comansa. The construction company Gabay Group has become the exclusive dealer of Linden Comansa in Israel. 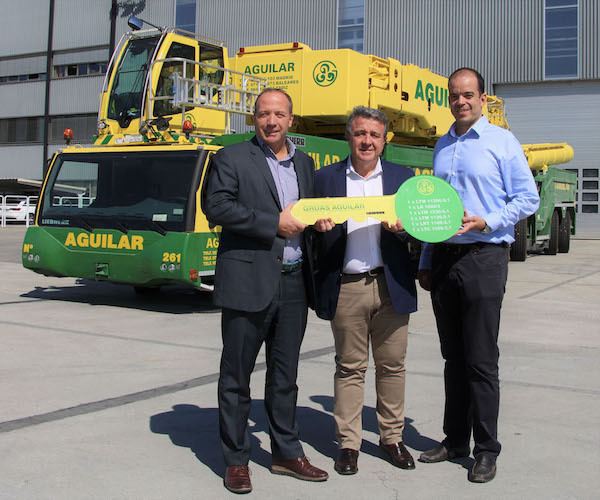 The two companies signed a three-year contract in March 2018, after Linden Comansa’s 16LC220 tower crane received the approval from the Standards Institute of Israel. The agreement between the Gabay Group and Linden Comansa includes the immediate purchase of three tower cranes model 16LC220 12t, as well as the purchase of other cranes in the course of 2018 to achieve the objective stated in the contract. 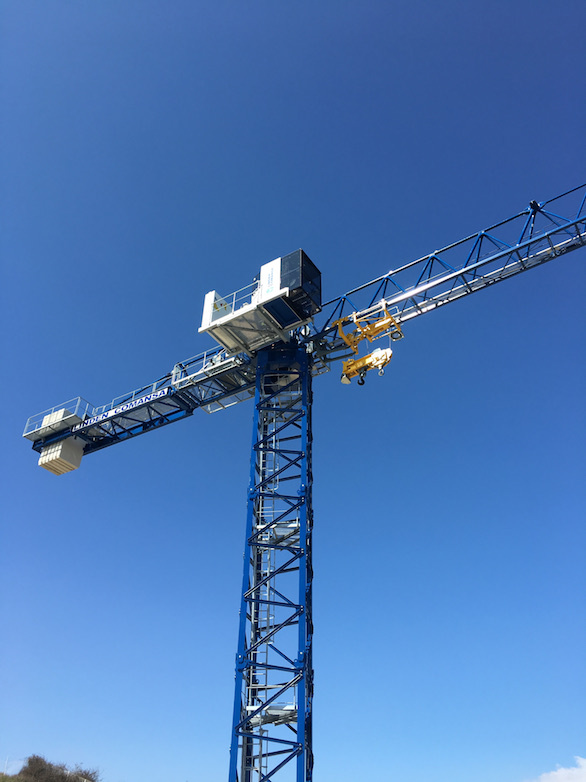 These three cranes, that will be part of Gabay Group’s fleet, will have their first job at the construction of the residential complex Hadar ve Yosef in Tel Aviv. Established in the late 1980s, Gabay Group is one of Israel’s leading construction and real estate companies. 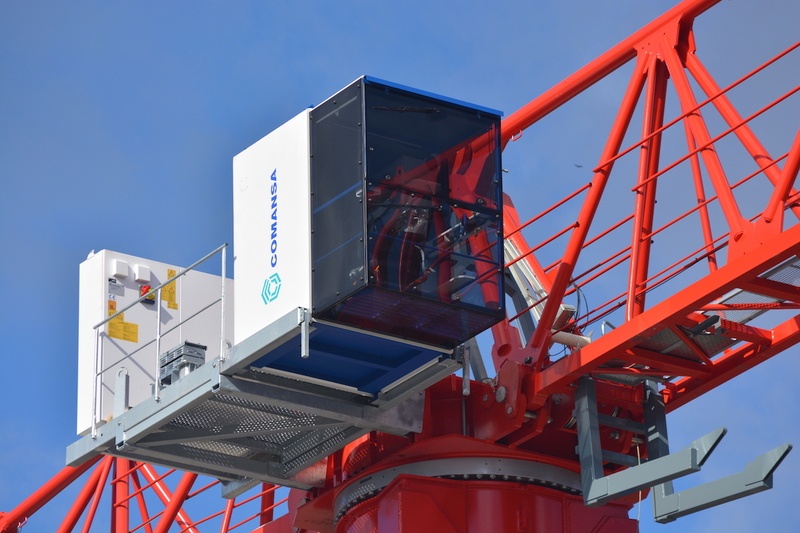 Becoming the exclusive dealer of Comansa in Israel is part of the plan to expand its business and enter the tower crane market in both sales and rental.